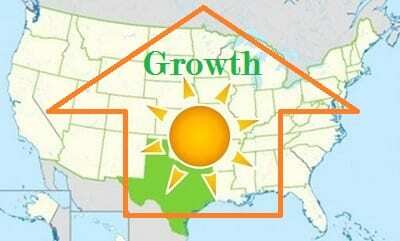 Solar energy may see a boom in growth in Texas in the near future. TXU Energy, the state’s largest energy utility, has announced that it is offering those interested in clean power the opportunity to take advantage of its 100% solar energy plan. The plan comes as a three-year contact, through which consumers will be paying 12.9 cents per kilowatt-hour of electricity they use. The utility believes that this new plan is an adequate alternative to investing in traditional solar energy systems. Texas has established itself as a leader in terms of wind energy, having more than double the wind capacity of California, but it has lagged behind when it comes to embracing solar power. This may change, however, as utilities become more supportive of solar energy. According to the Electric Reliability Council of Texas, solar installations grew by 50% in 2015. This year, however, solar generation is expected to grow six-fold. By 2030, solar energy systems are expected to produce some 14,100 megawatts of electrical power in the state. Solar power has begun attracting the support of utilities in Texas because of its economic prospects as well as the environmental standards that the state has adopted. Texas aims to distance itself from fossil-fuels, thereby cutting down on emissions production. This endeavor has lead to the aggressive expansion of the state’s wind energy sector, and now Texas aims to support the growth of solar power in a similar manner. The residential sector may benefit from the growth of solar power, as many homeowners are looking for less expensive forms of energy. Large consumers, such as businesses, are showing the most interest in solar energy, however, as they are feeling pressure to comply with strict emissions regulations that have been embraced by both the state and federal governments.